From 01 jan 2019 to 03 jan 2019 played 10 games. 3 matches ended with a draw. The most goals 6 was in game (Bournemouth - Watford). Total goals in this round: 29 goals, in the previous round was 27 goals. A total crowd attendance of 403332 spectators. In previous round 359736. For Arsenal only in Premier League the most goals scored: Pierre-Emerick Aubameyang 14 goals, Alexandre Lacazette 7 goals. Team the most matches played with formation: 4-2-3-1. Arsenal at home won 8 matches, 2 draws and 1 defeits. Arsenal scored average of 2.19 goals per game. In matches played at home 2.18 goals per game. In matches played at home an average of 3.09 goals (with opponent goals). For Fulham only in Premier League the most goals scored: Aleksandar Mitrovic 8 goals, Andre Schuerrle 5 goals. Team the most matches played with formation: 4-2-3-1. Fulham away won 0 matches, 2 draws and 9 defeits. Fulham scored average of 0.90 goals per game. In matches played away 0.64 goals per game. In matches played away an average of 3.18 goals (with opponent goals). 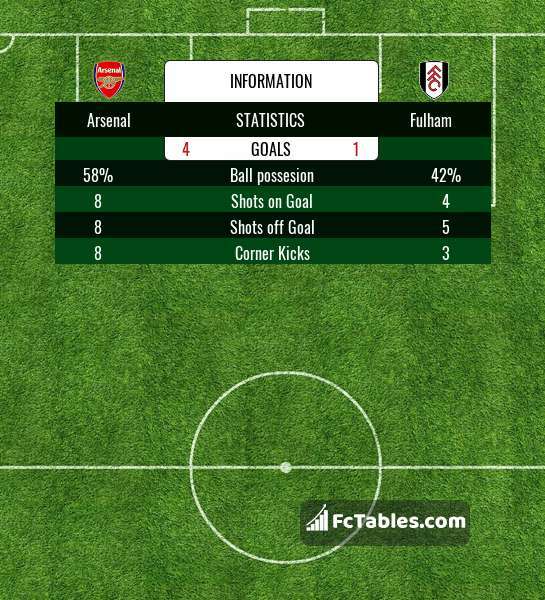 Before the game team Arsenal in table was 5, Fulham was: 19. The match ended with the result 4:1. For Cardiff only in Premier League the most goals scored: Callum Paterson 4 goals, Victor Camarasa 3 goals. Team the most matches played with formation: 4-1-4-1. Cardiff at home won 4 matches, 1 draws and 6 defeits. Cardiff scored average of 0.90 goals per game. In matches played at home 1.18 goals per game. In matches played at home an average of 3.27 goals (with opponent goals). For Tottenham only in Premier League the most goals scored: Harry Kane 14 goals, Heung-Min Son 8 goals. Team the most matches played with formation: 4-2-3-1. Tottenham away won 10 matches, 0 draws and 2 defeits. Tottenham scored average of 2.19 goals per game. In matches played away 2.33 goals per game. In matches played away an average of 3.33 goals (with opponent goals). Before the game team Cardiff in table was 16, Tottenham was: 3. The match ended with the result 0:3. For Everton only in Premier League the most goals scored: Richarlison 9 goals, Gylfi Sigurdsson 8 goals. Team the most matches played with formation: 4-2-3-1. 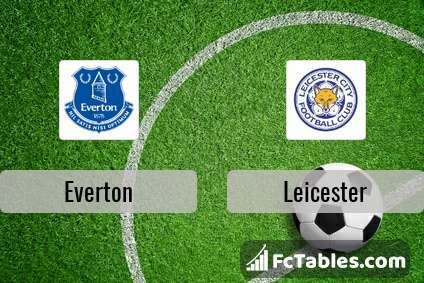 Everton at home won 5 matches, 3 draws and 3 defeits. Everton scored average of 1.48 goals per game. In matches played at home 1.64 goals per game. In matches played at home an average of 3.09 goals (with opponent goals). For Leicester only in Premier League the most goals scored: Jamie Vardy 7 goals, James Maddison 5 goals. Team the most matches played with formation: 4-2-3-1. Leicester away won 5 matches, 2 draws and 4 defeits. 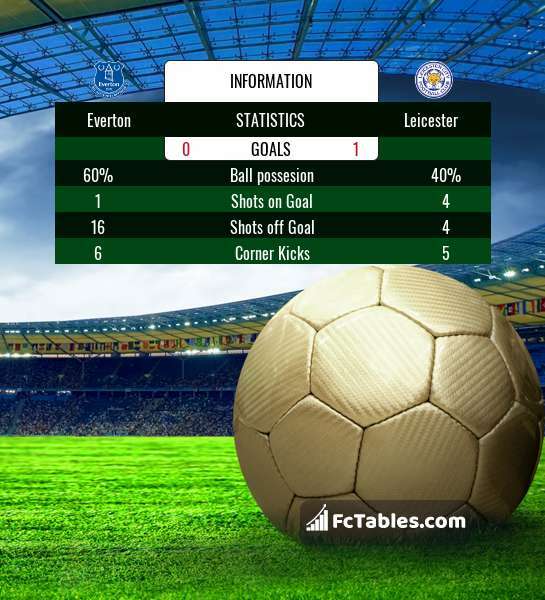 Leicester scored average of 1.19 goals per game. In matches played away 1.18 goals per game. In matches played away an average of 2.36 goals (with opponent goals). 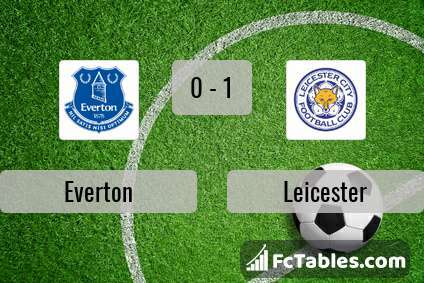 Before the game team Everton in table was 10, Leicester was: 7. The match ended with the result 0:1. For Bournemouth only in Premier League the most goals scored: Callum Wilson 9 goals, Ryan Fraser 5 goals. Team the most matches played with formation: 4-4-2. 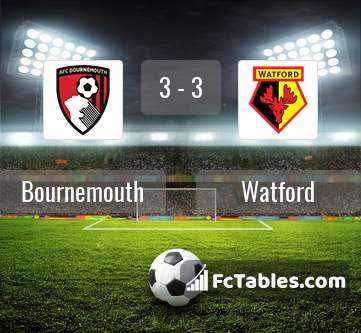 Bournemouth at home won 5 matches, 3 draws and 3 defeits. Bournemouth scored average of 1.48 goals per game. In matches played at home 1.73 goals per game. In matches played at home an average of 3.27 goals (with opponent goals). For Watford only in Premier League the most goals scored: Roberto Pereyra 6 goals, Troy Deeney 5 goals. Team the most matches played with formation: 4-4-2. Watford away won 3 matches, 4 draws and 3 defeits. Watford scored average of 1.43 goals per game. In matches played away 1.40 goals per game. In matches played away an average of 2.70 goals (with opponent goals). 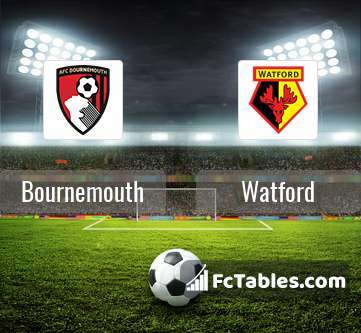 Before the game team Bournemouth in table was 12, Watford was: 9. The match ended with the result 3:3. For Chelsea only in Premier League the most goals scored: Eden Hazard 10 goals, Pedro Rodriguez 6 goals. Team the most matches played with formation: 4-3-3. Chelsea at home won 6 matches, 4 draws and 1 defeits. Chelsea scored average of 1.81 goals per game. In matches played at home 1.73 goals per game. In matches played at home an average of 2.45 goals (with opponent goals). For Southampton only in Premier League the most goals scored: Danny Ings 7 goals, Pierre-Emil Hoejbjerg 3 goals. Team the most matches played with formation: 4-4-2. 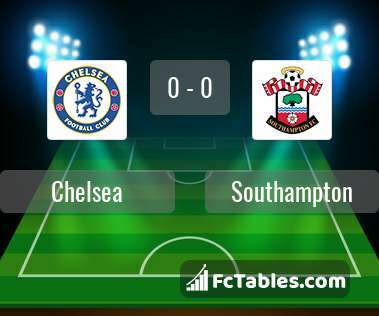 Southampton away won 2 matches, 2 draws and 7 defeits. Southampton scored average of 1.00 goals per game. In matches played away 0.91 goals per game. In matches played away an average of 2.82 goals (with opponent goals). 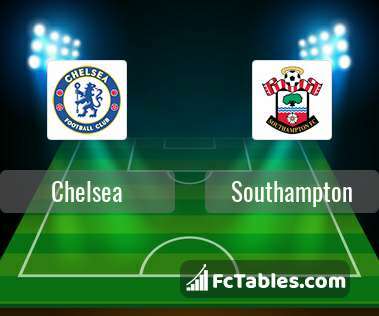 Before the game team Chelsea in table was 4, Southampton was: 17. The match ended with the result 0:0. For Huddersfield only in Premier League the most goals scored: Mathias Joergensen 3 goals, Aaron Mooy 2 goals. Team the most matches played with formation: 3-5-1-1. Huddersfield at home won 1 matches, 2 draws and 8 defeits. Huddersfield scored average of 0.62 goals per game. In matches played at home 0.45 goals per game. In matches played at home an average of 1.91 goals (with opponent goals). For Burnley only in Premier League the most goals scored: Ashley Barnes 4 goals, Chris Wood 3 goals. Team the most matches played with formation: 4-4-1-1. Burnley away won 2 matches, 2 draws and 7 defeits. Burnley scored average of 1.00 goals per game. In matches played away 0.82 goals per game. In matches played away an average of 2.82 goals (with opponent goals). Before the game team Huddersfield in table was 20, Burnley was: 18. The match ended with the result 1:2. For Newcastle United only in Premier League the most goals scored: Jose Salomon Rondon 5 goals, Ayoze Perez 2 goals. Team the most matches played with formation: 4-4-1-1. 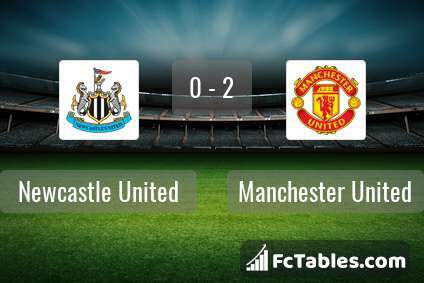 Newcastle United at home won 2 matches, 1 draws and 8 defeits. 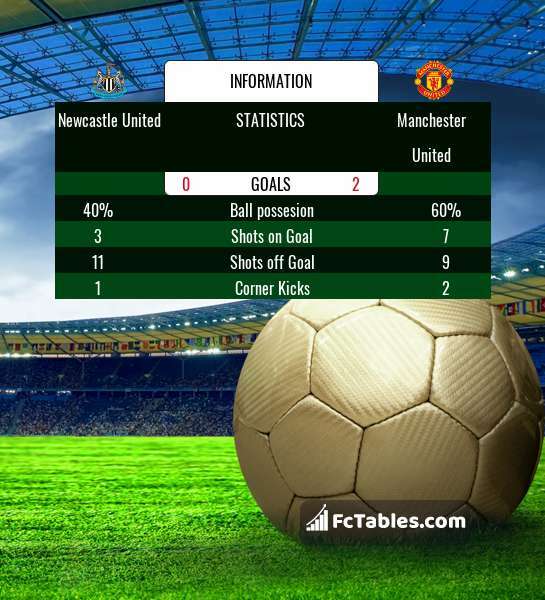 Newcastle United scored average of 0.71 goals per game. In matches played at home 0.64 goals per game. In matches played at home an average of 2.18 goals (with opponent goals). For Manchester United only in Premier League the most goals scored: Anthony Martial 8 goals, Romelu Lukaku 8 goals. Team the most matches played with formation: 4-3-3. Manchester United away won 5 matches, 2 draws and 4 defeits. Manchester United scored average of 2.05 goals per game. In matches played away 2.00 goals per game. In matches played away an average of 3.73 goals (with opponent goals). 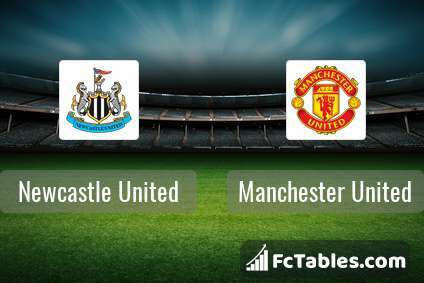 Before the game team Newcastle United in table was 15, Manchester United was: 6. The match ended with the result 0:2. For West Ham only in Premier League the most goals scored: Felipe Anderson 8 goals, Marko Arnautovic 7 goals. Team the most matches played with formation: 4-4-2. West Ham at home won 4 matches, 2 draws and 5 defeits. West Ham scored average of 1.38 goals per game. In matches played at home 1.45 goals per game. In matches played at home an average of 3.09 goals (with opponent goals). For Brighton only in Premier League the most goals scored: Glenn Murray 8 goals, Shane Duffy 4 goals. Team the most matches played with formation: 4-4-1-1. 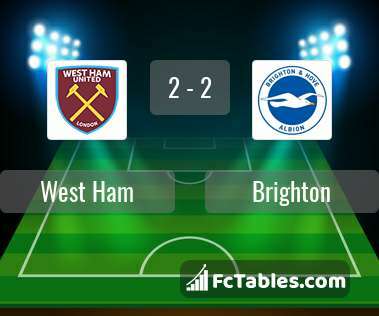 Brighton away won 2 matches, 2 draws and 7 defeits. 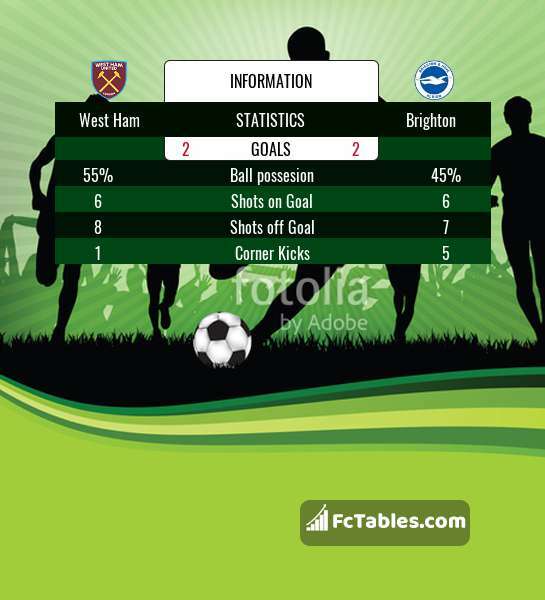 Brighton scored average of 1.14 goals per game. In matches played away 0.82 goals per game. In matches played away an average of 2.45 goals (with opponent goals). Before the game team West Ham in table was 11, Brighton was: 13. The match ended with the result 2:2. For Wolverhampton Wanderers only in Premier League the most goals scored: Raul Jimenez 6 goals, Matt Doherty 3 goals. Team the most matches played with formation: 3-4-2-1. Wolverhampton Wanderers at home won 4 matches, 2 draws and 5 defeits. Wolverhampton Wanderers scored average of 1.10 goals per game. In matches played at home 1.09 goals per game. In matches played at home an average of 2.45 goals (with opponent goals). For Crystal Palace only in Premier League the most goals scored: Luka Milivojevic 6 goals, Andros Townsend 3 goals. Team the most matches played with formation: 4-4-2. Crystal Palace away won 4 matches, 1 draws and 6 defeits. Crystal Palace scored average of 0.90 goals per game. In matches played away 1.27 goals per game. In matches played away an average of 2.82 goals (with opponent goals). 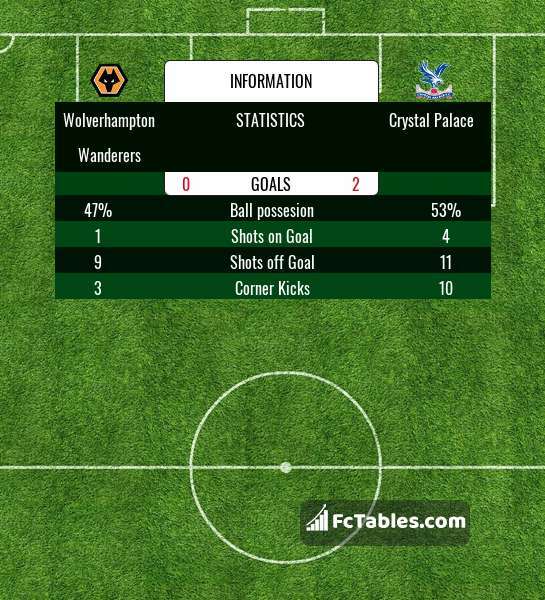 Before the game team Wolverhampton Wanderers in table was 8, Crystal Palace was: 14. The match ended with the result 0:2. For Manchester City only in Premier League the most goals scored: Sergio Aguero 10 goals, Raheem Sterling 9 goals. Team the most matches played with formation: 4-3-3. 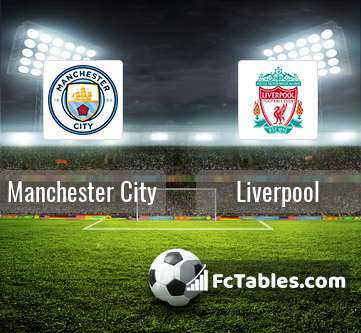 Manchester City at home won 10 matches, 0 draws and 1 defeits. Manchester City scored average of 2.67 goals per game. In matches played at home 3.36 goals per game. In matches played at home an average of 4.27 goals (with opponent goals). For Liverpool only in Premier League the most goals scored: Mohamed Salah 13 goals, Roberto Firmino 8 goals. Team the most matches played with formation: 4-3-3. Liverpool away won 8 matches, 2 draws and 1 defeits. Liverpool scored average of 2.33 goals per game. In matches played away 2.00 goals per game. In matches played away an average of 2.64 goals (with opponent goals). Before the game team Manchester City in table was 2, Liverpool was: 1. The match ended with the result 2:1.